One of the best things about living in the Northeast is that there are so many unique cities within reach. This weekend I took advantage of the close proximity and met my dad in Toronto (less than a 90 minute flight) while he was there for a business conference. 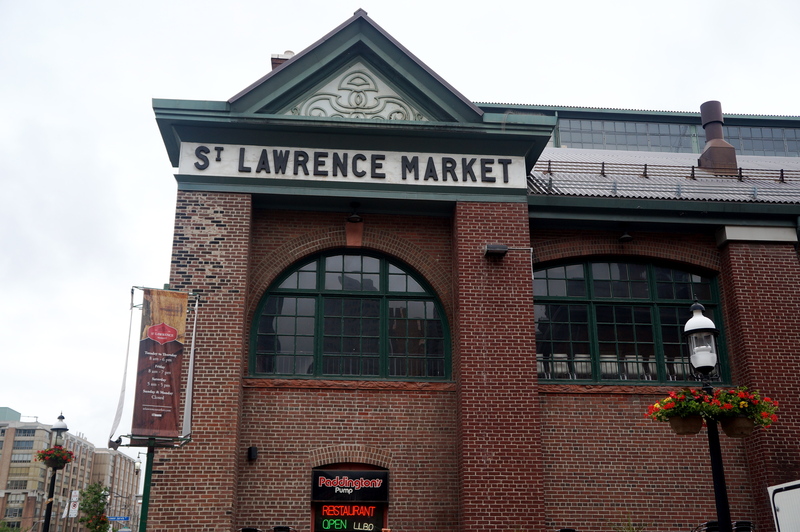 The first thing on my Toronto must do list was to check out St. Lawrence Market. 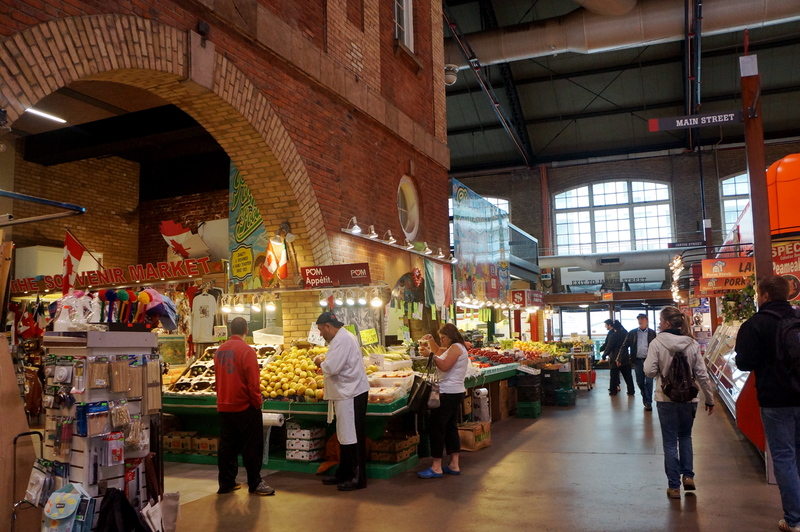 I originally read about St. Lawrence Market on the Design Sponge Toronto city guide (my go-to website for city guides when traveling). The vintage warehouse vibe and abundance of artisanal food purveyors somewhat reminded me of Chelsea Market in NYC. I was tempted to buy Canadian maple syrup, but I still have syrup leftover from my maple sugaring field trip in February. Maybe next time! 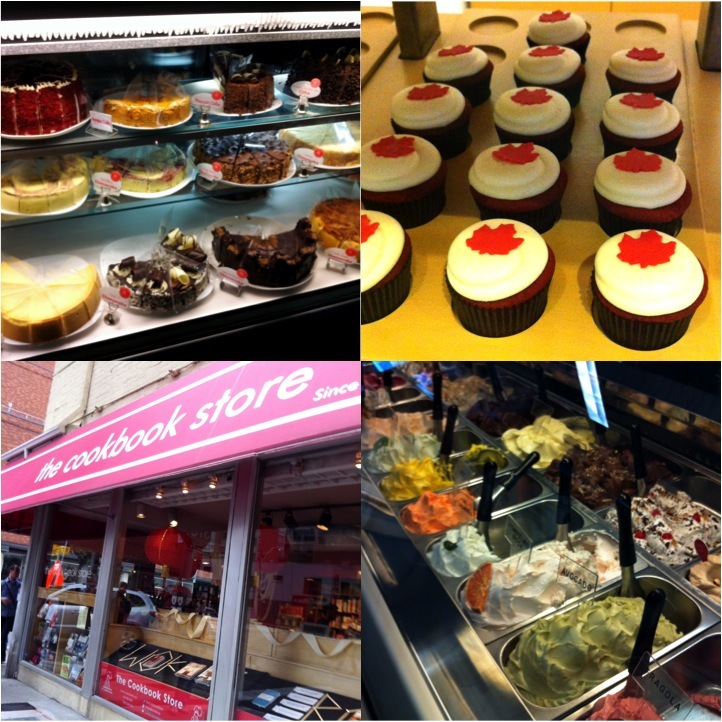 One of the optional activities for my dad’s conference was a Foodies on Foot walking tour around the upscale district of Yorkville. Much to the delight of his gastronomy student daughter, he signed us both up. I have been on walking food tours before, but never could I have envisioned the amount of food that we would accumulate in a quick 2 hour period. These were not tastings. These were full-on American sized servings. Six stops, four full portioned desserts, and one seated luncheon. And all of this came only 2 hours after (a thankfully light) lunch. Gulp. I’m sure you can see that predicament that I faced as a Dietitian. I wanted to enjoy the food, but I also wanted to be comfortable and healthy. My plan of attack went as follows: When I had the option to get the food to-go, I jumped on it. Otherwise, I would stick to tasting. Food tastes the same whether you have one bite or ten, and devouring four large desserts in 2 hours would not be enjoyable for anyone. The gelato at the end of the tour was creamy and authentic with an impressive selection of flavors, at least from what I remember of my study abroad experience two years ago. Can’t go wrong with Pistachio! The Cookbook Store was a charming little shop selling books and magazines related to food and cooking, and was a welcome relief from the food fest. And of course, no modern food tour would be complete without an obligatory nod to the cupcake trend (in this case, at Dlish). Although the cheesecake was heavenly, my favorite stop on the tour was Crepes a GoGo. The energetic owner generously led us around the counter and while she demonstrated her craft. Although some creperies smother their product in an abundance of toppings, we were treated to simple crepes flavored only with cinnamon and sugar. They were thin, fluffy, and delicious, all at the same time, proving that simplicity is a true testament to a good recipe. Lastly, because this post was extremely dessert heavy, here is another dose of healthy airport food (at Logan terminal A). 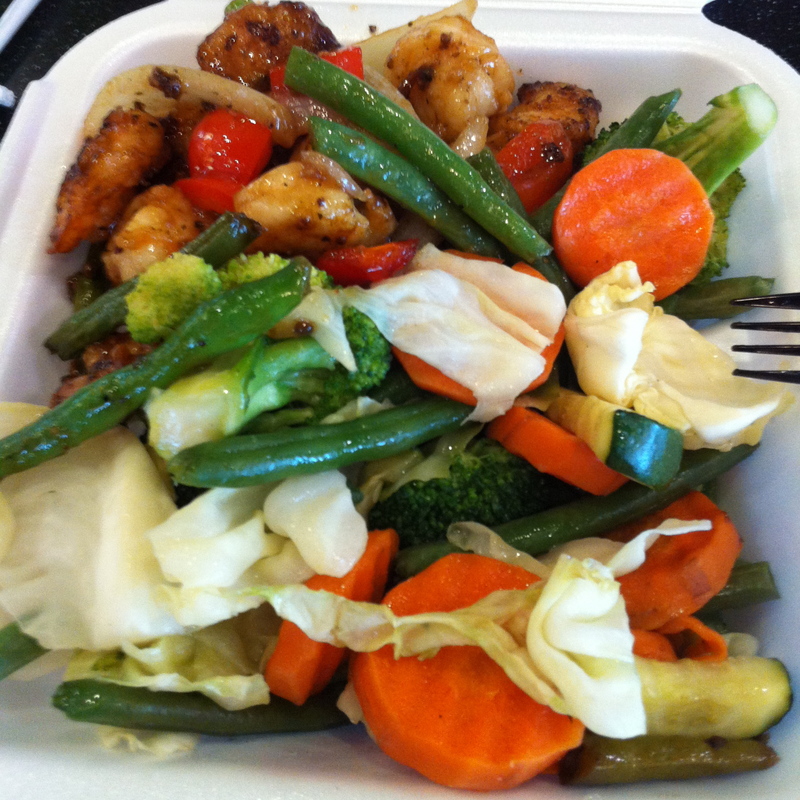 Peppercorn shrimp + 2 servings of steamed veggies from Panda Express. Stuffed at the sight of it all? Some non-food highlights included the Royal Ontario Museum, the CN tower, a winning Blue Jays game, and a trip to Niagra Falls. What are some of your Toronto favorites? How do you manage portion control when facing an overwhelming amount of food? On Friday my roommate and I took a day trip to New York City as an early birthday celebration. Although seeing the Rockefeller Center Christmas tree and holiday decorations was the main motivation for the trip, I also got to experience food and culture in the city. The American Museum of Natural History has a special exhibit through August 12, 2013 called Our Global Kitchen. I first read about it on Marion Nestle’s blog last week, and was very excited that this exhibit would coincide with my trip! The exhibit was perfect to see after finishing my first semester in the BU Gastronomy program, but even my roommate was fascinated by the displays. The topics were very relevant to my Food Culture and Food Systems class, and included information on: the pro’s and con’s of biotechnology, the issue of world hunger, the external costs of meat consumption, monoculture vs. biodiversity, organics and integrated pest management, eating patterns from around the world, obesity and nutrition, food waste, the history of foodways, the science of cooking, and so much more! I highly recommend this exhibit, whether you are a gastronome or not. It is great information to help consumers make educated choices, and to learn about where our food comes from. I also couldn’t help buying this cute T shirt! Other Gastronomy related highlights included a grilled chicken curry sandwich with cranberry harissa chutney from Le Pain Quotidien in Central Park, as well as cupcakes from the Plaza Food Hall. Also, even though the majority of my NYC dining experiences aren’t at chain restaurants, the calorie counts on chain restaurant menus (such as Le Pain Quotidien) are great at helping make an informed purchase! Are any other foodies heading to NYC anytime soon? While I didn’t go during this trip, I highly recommend checking out the Chelsea Market (see below) and Eataly. Where are your favorite places to go in New York? Now that Thanksgiving has passed, Christmas shopping season is in full swing. Do you have any health conscious friends or loved ones still left to shop for? This gift guide is full of great gift ideas to inspire healthy lifestyle choices. Part 1: The Farmers Market Foodie. These gifts are perfect for anyone that frequents farmers markets, appreciates fresh produce, or is passionate about local, sustainable food. Squash Identification Dishtowel, $16. This adorable dish towel perfectly captures the spirit of fresh produce. Is anyone else reminded of page 77 of Julia Rothman’s Farm Anatomy? American Grown: The Story of the White House Kitchen Garden and Gardens Across America, $30. The White House organic garden has quickly become a national symbol for the local food revolution. This book is the perfect gift to give your favorite locavore. And as a bonus, it also recently received praise from Marion Nestle. A win in my book! CSA Box, price varies, usually $325-$600 per growing season. CSA stands for community supported agriculture. By purchasing a CSA subscription, you are essentially purchasing a share of the farm. In return, you receive boxes with a variety of local produce on a weekly, bimonthly, monthly basis, depending on the farm. Shares often come in various sizes, and half shares are sometimes available for smaller households. I would google your city + CSA (example: Boston CSA) to find CSA options in your area. Click here for CSA options in the Boston area. edible: A Celebration of Local Foods, $30. 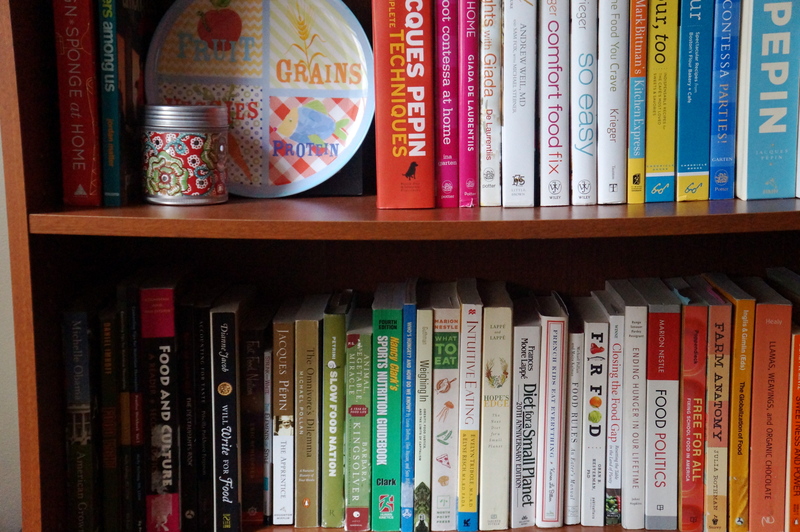 From the makers of edible communities magazines, this is more than just a cookbook. This book highlights recipes from different culinary regions across America, as well as recognizes local food heroes. Additionally, a copy of your local edible would be the perfect addition to any local food gift basket. Edibles are produced for 70 cities across the US and Canada. To see if your community has an edible magazine, click here. Home Grown Garden Card Set (set of 8), $18. These cards perfectly capture the spirit of home gardening. They come blank, and would be the perfect vehicle to share your thanks with your local food producer. State by State Food Tote Bag, $25. This adorable tote bag is perfect for carrying home all of your locally grown goodies. The geographic touches make this pick one of my favorites! Artichoke iPhone Case, $35. This unique case will keep the spirit of your favorite market alive, even after the last harvest. Available for iPhone 3G, 3GS, 4, 4S, and 5. Farmers Market 8×10 Print, $18. This cheery print is perfect for any farmers market aficionado. Farmer’s Market Cards (set of 6), $14. These beautiful watercolor cards are printed on textured linen coverstock, and the inside is blank for your own thoughts. What a lovely way to share the beauty of farmers markets! Check back soon for part 2 of my Healthy Gift Guide. The next one is going to have a nutrition focus. Still looking for more gift ideas? Check out this awesome gift guide for Boston Foodies! These picks would be perfect for any of my classmates in the BU Gastronomy program. Happy shopping!